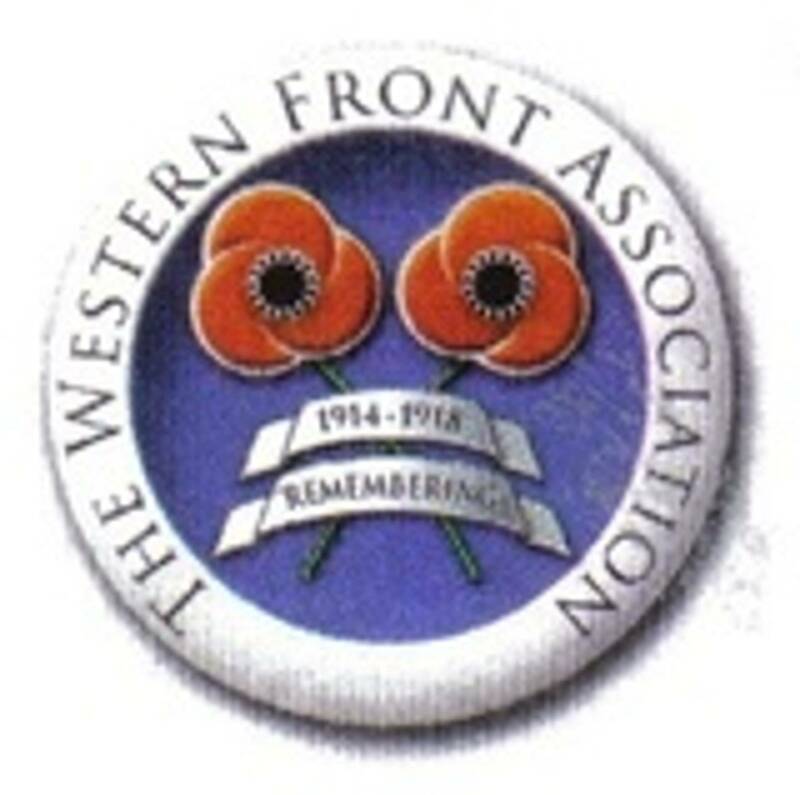 Branch Meeting, 19 July, 2014. Killed In Action 19 July, 1916. Louis Barron was born in Limerick on Christmas Eve, 1888, the eldest of seven children of Hyman & Ester Barron, who were immigrants from Lithuania and Russia respectively. The family then moved to Dublin (C1893) where his Father owned the Munster Furniture Co. at 24 Camden Street. Louis attended the High School, Harcourt Street from 1899 to 1905, and it would appear that at some stage after this he was apprenticed to the solicitor, Michael Noyk. The 1911 census has the whole family living at 38 Circular Road, Portobello, with Louis described as a solicitor. 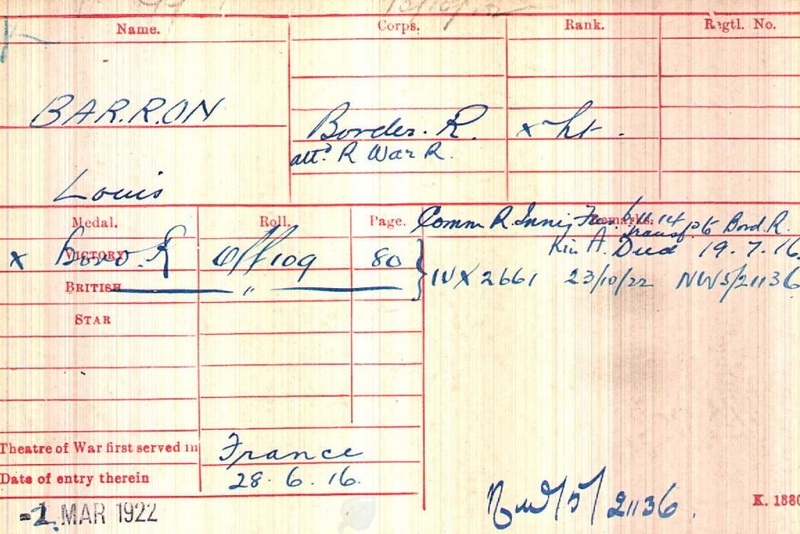 No records survive as to when Louis joined the army; however, his Medal Index Card shows that he landed in France on the 28 June, 1916.Twenty one days later the regiment was involved in the disaster that was the Battle of Fromelles, a subsidiary action to the much larger battle taking place further south on the Somme. The 61 Division, of which the 2/6 Warwicks were a part, suffered very heavy casualties for no significant gain and no enemy reserves were diverted from the Somme. As we now know, hundreds of the casualties of the battle were buried in mass graves by the Germans, while 250, mostly Australians, have been found, it is possible that there are more still waiting to be found. 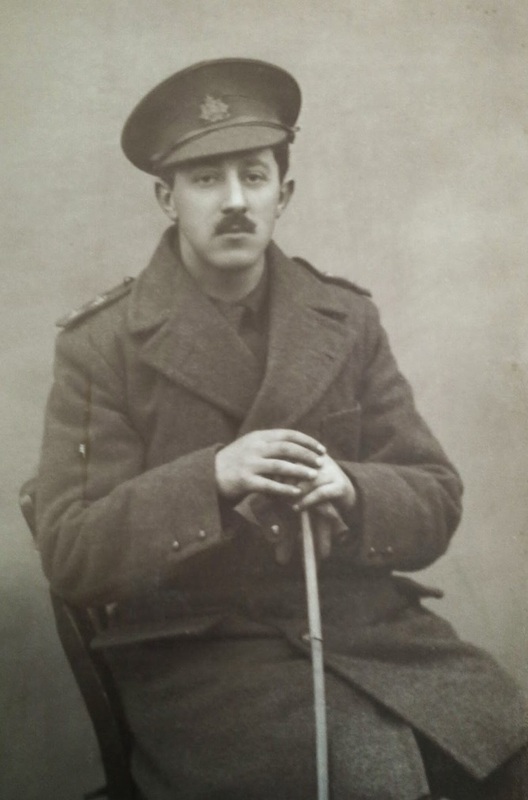 The regiment lost a total of ninety seven men of which seventy five, including Louis Barron, have no known grave and are remembered on the Loos Memorial to the Missing. As well as this memorial, Louis is also remembered at the High School, Dublin and Terenure Synagogue.